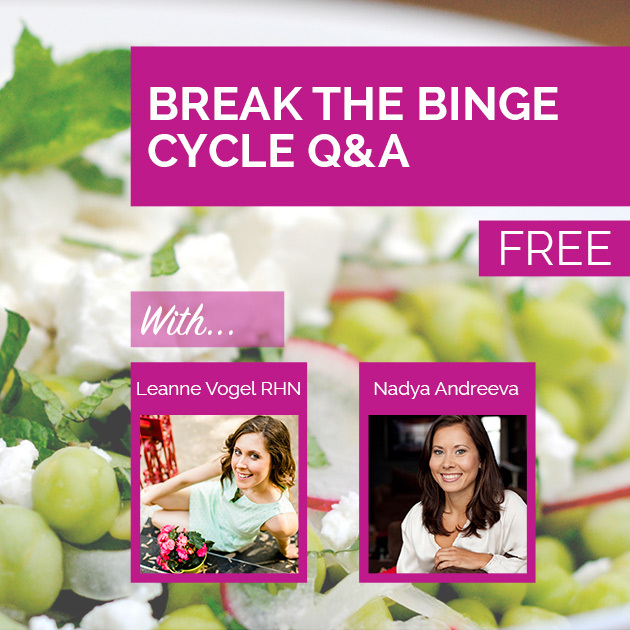 If you struggle with binge cycles or have become a “slave” to your eating style, today’s recorded Q&A session – where we discover how our eating habits are directly related to our self-worth, self-trust and self-love, is for you. It’s easy to get lost in obsessing over the body and health we want for ourselves. For many of us, it’s hard to know where that line is: in doing what’s right for our body and our health, and getting too caught up with the “rules” that it begins to take over our lives. Healthful Pursuit is about freeing ourselves by creating a liberated life on a “restricted” diet – it’s about accepting (and loving) where we are at right now, and taking balanced steps toward discovering what our bodies need to heal and thrive. Positive transformation relies on building a base of love and respect for our bodies, regardless of the eating style we decide is right for us. How what we eat portrays our self worth, self love and self respect. How our childhood eating patterns are limiting us in adulthood. Using external and internal wisdom to create an eating style that’s perfect, for you. The steps we can take to experiment with mindfulness as a way to understand our body and transform our relationship with food. Purchase Nadya’s book, Happy Belly. Join Nadya’s Beautiful Plate Challenge. 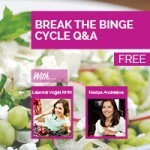 Access the freebie that Nadya prepared for the Healthful Pursuit community. There is an intelligent principle that’s present in your entire body. It knows what it needs to be supported. Using a combination of external wisdom – like the resources you receive on Healthful Pursuit, and internal wisdom – the innate ability that your body has to know what it needs to thrive, you can experiment to create an eating style that’s best for you. Since our Q&A, I’ve worked on feeling my emotions without involving my head and have to say… this practice is so powerful! It’s so much more fulfilling – to accept what I’m feeling and allow it to flow through me. Try it – letting emotions flow through you without involving your head, just once. See how it feels. Then come back and share your experience with us!